Scientifically known as Asthenopia, eye strain refers to an ophthalmological condition is characterized by wooly symptoms like pain around or in the eyes, fatigue, blurred vision, sporadic double vision, and headache. These symptoms are generally noticed after computer work, reading, or similar activities which involve tiresome visual tasks. To put it simple, eye strain can be delineated as the discomfort experienced on focusing for prolonged durations. This discomfort actually results in tired eyes and eye muscles because of being overused. Actually, the eyes are projected to shift focus between distant and near objects. Visual tasks like spending time on computer or watching TV requires focusing and concentration, without you even realizing it. The eye muscles get tightened thus resulting in eyes to get dry, uncomfortable, and irritated. Eye strain from computers is very common. The primary cause is focusing your eyes on a certain object for prolonged durations. Close viewing is, however, more harmful than distant viewing. Additionally, working in insufficient lighting also leads to strained eyes. Also, the direct glare from bright lights or luminous window shining into the eyes makes your vision difficult due to the reduced contrast between the viewed image and the background. Moreover, the glare makes it comparatively difficult for the brain to construe the image that strains the eyes by tightening the eye and facial muscles. Eye strain is a problem that produces different effects on every individual. Some people may develop watery eyes as contrasted to others experiencing dry eyes. Also, when eye strain hits at the initial stage, there are many symptoms which may appear simultaneously thus making it harder to delineate the problem which hit first. There are numerous symptoms that are noticed when your eyes are strained. This is the reason that eye strain is considered to be an unbearable repetitive injury. Adding further, many times many of these symptoms are not recognized as eye problems. But, once you become aware about these eye problems to be the symptoms of eye strain, you can treat the problem easily. However, the symptoms of eye strain may not show up when you wake up in the morning. Neither are they accompanied by ultra-sensitivity to light. Furthermore, symptoms of eye strain are also responsible for worsening the visual tasks such as reading. The best way to treat strained eyes is to keep them moisturized with various over-the-counter eye drops available or simulated tears. Besides, over strained eyes can be treated through hypoallergenic preparations. It proves really soothing for the eyes. With increasing medicinal technology and awareness, it is no more a difficult task to soother strained eyes. Practicing eye exercises like rolling or blinking the eyes. This helps in moisturizing the eyes in addition to relieving the tightened eye muscles. To relax strained eyes, shut your eyes for some minutes to relieve the strain. This is, however, a usually unnoticed remedy for eye strain. Try taking frequent breaks to ease the eye muscles. This can be done by occasionally looking away from your monitor to focus on another distant object for some seconds to rest your eyes. Another way to relieve eye strain is turning up the contrast on the computer screen to mitigate the level of strain. To avoid strain while reading, prefer holding your book at a minimum distance of 30-40cm from the eyes. Ensure wearing sunglasses while driving for UV rays from the sun may cause the eyes to get strained. Use a baseball cap or a sunhat when outdoors to mitigate squinting and glaring. When watching television, the room lighting should be at least 50% lesser than the screen. It is advisable to avoid TV viewing in darkness or at a certain angle. Make sure that the room is not excessively dark such that it becomes difficult for you to even read a book comfortably. Furthermore, the room should also not be so bright that it washes out the monitor. Also, amend the screen contrast so as to be able to comfortably use the monitor evn at moderate lighting in your room. The distance between your book or monitor and your eyes needs to be at an arm’s length at least. In order to determine the correct distance, you can make an experiment. Ensure the location of the monitor to be straight ahead as looking down for prolonged durations may result in sore neck. Try taking frequent breaks all through the day. The rule of thumb to be followed is the 20-20-20 rule. Take a break after every 20 minutes to focus at an object placed 20ft away for a minimum of 20seconds. During this time, you can go for some other work like filing work or making a phone call. Another effective way to take a break is to get up and move around after every hour. Alternatively, you can also lean back and close the eyes for some minutes. The artificial tears available on hand in the market are helpful in preventing as well as relieving strain resulting from dry eyes. Consult your doctor for suggestions regarding the best suited drops. It is better to use lubricating drops free from preservatives. If, in any case, you use drops containing preservatives, avoid using them more than four times in a day. Also, don’t use drops containing redness remover for these may lead to worsening of dry eye symptoms. Blinking the eyes more than normal while reading or working on a computer helps produce tears to moisten as well as lubricate the eyes. It is, therefore, a good effort to blink eyes more frequently. This exercise can be performed even with bare hands and fingers. Additionally, you can also use a warm towel over your closed eyes. Give a gentle massage to the upper eyelid touching the brow bone for as long as 10seconds. Then, massage the lower eyelid touching the lower bone for as long as 10seconds. This massaging technique stimulates the tear glands thus avoiding dry eyes. Another way to relax these muscles is massaging the orbit muscles (the area around the eyes). This is further helpful in mitigating the symptoms of eyestrain. If you are using contact lenses or glasses, ensure them to be correct for computer work. Generally, contacts are designed for reading print and may not be suited for computer work. 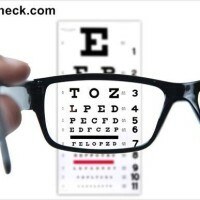 It is, therefore, recommendable to use contacts or glasses which are designed explicitly for computer work. Slight changes in the working environment can help in preventing dryness of eyes. These changes include use of a humidifier, staying away from smoke, and turning down the thermostat. In addition to the above mentioned tips to relieve eye strain, there are also certain natural remedies which can prove helpful for eye strain by promoting healthy vision as well as strengthening the blood capillaries of the eye thus preventing eye sensitivity without leading to further harm. These natural remedies are gentle to the eye and can be used for relief by lubricating the eyes when most required. Some of the most effective herbs include Bilberry (Vaccinium myrtillus), Rooibos (Aspalathus linearis), and Sutherlandia frutescens. These herbs promote peripheral circulation as well as capillary circulation in addition to improving the normal health of your eyes. The best home remedy for eye strain is splashing eyes and face with cool water. This helps you relieve and soothe the eyes. As another way to relieve eye strain, it is recommendable to take one cup of water with ½ tsp of fennel seeds added to it. Then, boil this water and allow it to get halved. Strain the solution after it gets cooled. Putting 2-3 drops of this solution into strained eyes can help a lot. This process should be repeated after a few hours to get complete relief from strain. Remember, when working on a higher focusing and concentration thing; ensure blinking your eyes more than normal. Blinking helps the tears to wash over the eyes thus reducing the strain from eyes. Eye strain can also be treated effectively with Vitamin C as it strengthens the eyes besides preventing them from any sort of ailment. You can also add citrus fruits like lime, lemon, and oranges to your diet as a good source of vitamin C.
Another important vitamin that contributes to relief in eye strain is vitamin A. in addition to promoting the eye health in general, it also proves to be an effective home remedy for strain as well. Closing your eyes for a while, either at work or at home, helps in mitigating the level of pressure thus relieving you from eye strain. For better circulation of blood, it is a good option to massage the face. Eye strain can also be caused due to continuous use of contact lenses. It is, therefore, recommended to remove them before going to bed. Eye strain can also be a result of low fluid content in the body. So try to kep yourself hydrated as much as possible. Cucumbers are known to be effective cooling agents for eyes. All that is required to be done is placing the cut slices of cucumber on the eyelids for some minutes. This provides instant cooling to the eyes thus soothing them. Eye strain exercise can prove helpful in relieving strained eyes from tiredness. Exercise for eye strain is also helpful in supplying higher amount of oxygen to the eye muscles thus making them relaxed. I case of sore eyes, these simple eye exercises can be practiced for 2-5 times a day, specifically when work involving high concentration is being done. While exercising, it is important that you just move the eyes and breathe steadily while keeping your shoulders relaxed and head still. Let’s have a look at some simple and effective exercises for eye strain. Keep your eyes wide open and look up and down, sideways, and then diagonally. Repeat every exercise for 10 times. Focus at an imaginary clock beginning the focus point at 12 o’clock. Shift your focus slowly moving from minute to minute with the clock to reach 12 o’clock again. Then, close the eyes for a few minutes and repeat the exercise, but anti-clockwise. Place your thumb at a distance of 30cm from the eyes and gaze it for about 5 seconds. Then look at a object placed at a distance beyond the thumb. Repeating this exercise 5 times a day can show good results. Position your palms against your eyes at a distance of about 30 cm. with fingers pointing upwards. It is, however, better to do this exercise at windows’ edge. Focus on your palms and breathe steadily along with slowly moving the palms apart. Then shift your focus to an object placed at a distance outside. Continue to breathe steadily and bring the palms back returning the focus on both hands. Perform this exercise for about 5-10minutes. Use your fingers to press the edges of the eyes and close them. Give a gentle massage to the area surrounding the eyes through continual circular motions. This exercise can be performed 5 times. Warm your hands by rubbing them vigorously. Then close both the eyes covering them with your palms for as long as a minute. Feel the warmth flowing into your eyes thus making the muscles feeling relaxed. These simple eye exercises can help in treating meek and moderate strain on eyes resulting from prolonged concentration. Another effective way of reducing eye strain, specifically for those with challenged eyesight, is palming. 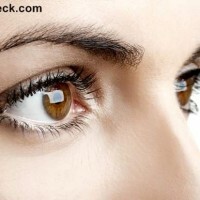 Akin to a simple eye exercise, this technique also helps in relieving eye fatigue thus enabling better vision by the eyes for comparatively longer durations. Furthermore, it is considered as one of the best ways to secure the sensory nerves’ relaxation. This technique helps in achieving a great level of eye relaxation by placing your eyes in a black and silent setting. The primary step involves allowing the sunlight to warm and excite the retinal nerves. Then, cover both the eyes using cupped hands. The position of fingers is crossed over the forehead with palm heels resting on your cheekbones. There should be no tightness in eyelids, eyebrows, and fingers. As all the light is excluded through the palms, it becomes easy to close your eyes lightly. One important point to note is that your palms should not touch your eyeballs. During this exercise, it is important to maintain a relaxed and comfortable posture. Allow your elbows to rest comfortably a wedge-shaped pillow placed on the lap. It is important to position your head as well as the back of your neck straight in a line. Another important requirement for palming is to make the body relaxed and comfortable. If your body is not at ease, it becomes difficult to achieve the visual benefits. With passing time in this exercise, your eyes become free form any sort of color, images, or grayness. The only sensation which can be felt is blackness. To experience the blackness, it is really important for the body to be free from any kind of tensions. Moreover, the level of blackness experienced indicates the level of relaxation achieved by your body. Colors like gray-black and blue-black are experienced by those who have not attained complete relaxation. Your mental habits influence the palming technique greatly. It is essentially important to get rid of all extraneous thoughts from your mind. The best way is to forget your eyes and allow the mind to calm down. Additionally, it is important to consider your mind as an etching needle so as to recall some past scenes, involving great happiness and joy. In this manner, your mind can be directed to concentrate on one thing. However, one should not strain to remember it. With moving time, you can achieve mental relaxation in addition to reducing the eye strain. Wrapping up, life becomes less enjoyable if eye strain remains untreated. Enjoy reading and computer works and games through these easy-to-follow eye strain exercises and home remedies. Hope you find them helpful!